I can’t believe it has been already a year! The Fresno Food Expo is already here and things are a bit crazy in preparation as well as tending to all of our regular orders. 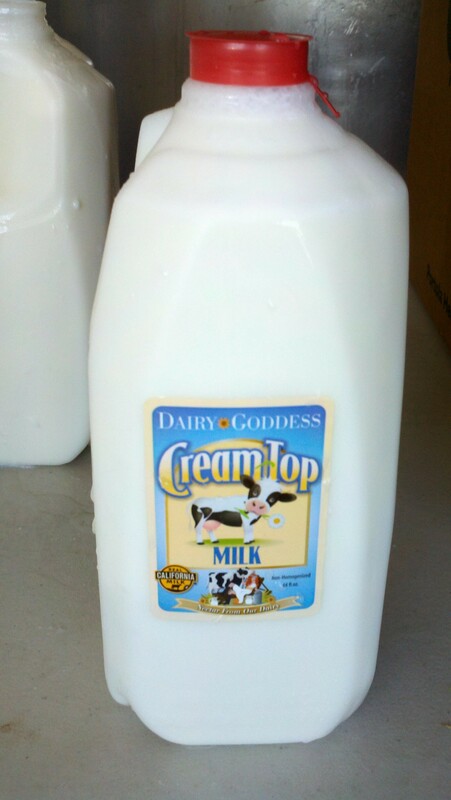 We continue to service the 37 Nor-Cal Whole Foods so don’t forget to go in an ask for some “Dairy Goddess”. The Expo is Thursday March 14, 2013. The public portion is going to be held from 5pm to 8pm at the Fresno Convention Center, Hall 1. Tickets are $40.00 but you can go to www.fresnofoodexpo.com for discount ticket offers. Come on out to taste, touch, and try food and beverage products from 106 food exhibitors. It is a great opportunity to learn about local food companies and you will even have a chance to purchase product you like at the show. Dairy Goddess is offering special Expo discounts. Supporting local food companies has never tasted so good. Also I am asking you to please go to Fresno Food Expo New Products Award (click on link) and vote if you haven’t already. My 3 entries are in the TOP 5 of 55 products. The voting continues until the day of the event. “Like” each of my products (3 of them, Whole Milk, Chocolate Milk, and my Cheese) along with that please email a vote too. Your support is appreciated and helps our little company get our name out. Remember, I AM our marketing team. Our family does it all! So join “OUR” family and take a moment to cast your votes. Dairy Goddess Fulfilling Her Dairy Dreams With Your Help! As you know. Dairy Goddess Farmstead Cheese and Milk was created by me. Partly as a dream to create products from our cows milk but also out of desperation during the worst economic time in our dairy industry. Trying whatever we could to save our farm. With the help and support of my husband Tony, my daughter Tara we have done a pretty good job. I am very proud of what we have accomplished in two and a half short years. I am proud to announce that we just made it into the Northern California Whole Foods 35 plus stores with my Non-Homogenized, Low Pasteurized Whole Milk and Chocolate Milk along with Dairy Goddess Fromage Blanc Cheese. If you are in that region…please go in and tell them you LOVE Dairy Goddess. The real key to this success is to receive and maintain those re-orders. I have expanded my tiny little plant and product as I have gone along. 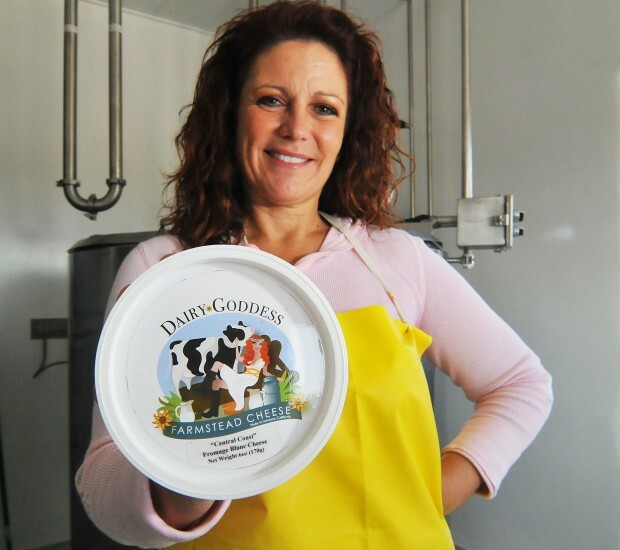 Dairy Goddess does not have a marketing team. I do not have an advertising budget. We do EVERYTHING ourselves. With that said. I am asking you to help me out. Please go to Fresno Food Expo’s Website (click here) Like their page. Then look at all of the wonderful new San Joaquin Valley New Products that will be highlighted at the Fresno Food Expo on March 14th. Then please LIKE each of my products. I have the Whole Milk / Whole Chocolate Milk and Cheese. Click the like by each of those pictures and that is all you have to do and sharing that with your friends would also be appreciated. This type of promotion is what has got me to where I am now. It is hard to get reach without professionals helping, but with your assistance I could not be happier! I am the little ant that could….and this ant is going to do her best to keep going! 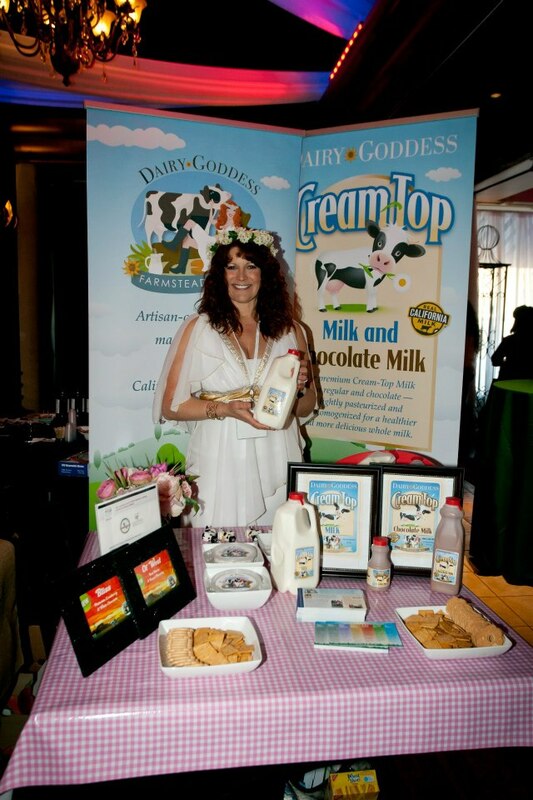 Thanking you in advance for your help…remember LIKE all Three Dairy Goddess Products by clicking the “thumbs-up” next to it’s picture.